Can intelligent content insights reveal the secret sauce to perfect content? Is intelligent content insights the secret sauce for engaging content? AI and privacy predictably dominated conversations at this year’s Adobe Summit, as both speakers and attendees tackled the elephant in the room. Thankfully, the “Summit Sneaks” sessions offered a little respite. 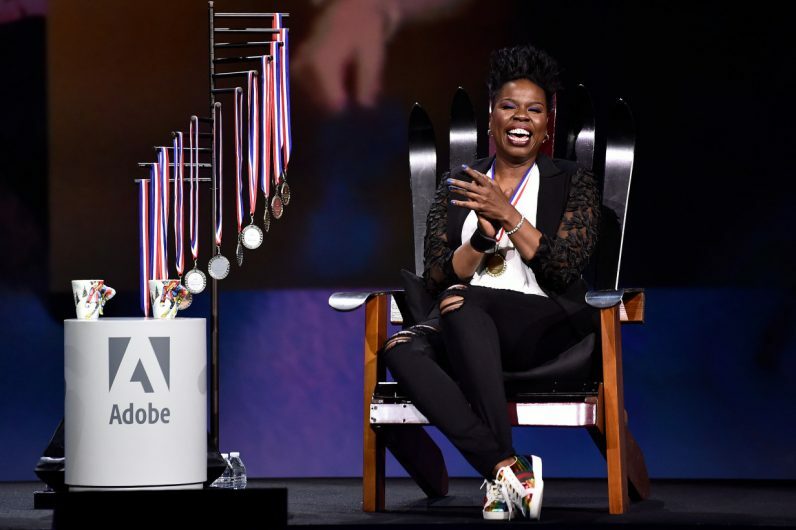 Hosted by Leslie Jones of “Saturday Night Live,” experience creators had an opportunity to stand on stage in front of 13,000 attendees who will vote online for their favorite project. The increasingly popular sessions are primarily an opportunity for engineers to get out of the lab and showcase what they’ve been working on. The light-hearted and entertaining look into future technology feels like the perfect way to end the summit after a few days of geeking out with AI, machine learning, and algorithms. Content creators or brands such as Kayak or ASOS, who produce large quantities of content to engage their audiences, were teased with a concept of “Intelligent Content Insights.” As product manager for research and technology innovation for Adobe Experience Manager (AEM), Jonas Dahl showcased a new way of attracting and retaining customers through content. Traditional content marketing is starting to show weaknesses when compared to new solutions. Despite the air-of-caution vibe right now, there is no denying that AI and data science will soon play a critical role in driving future success. Why? The battle for attention and eyeballs is already beginning to intensify, and marketers have to think differently to attract tech-savvy digital natives who know every trick in the book. With this project, marketers can leverage advanced technology and tap an AI assistant for their content-strategy efforts. Take a travel site., for instance, where an upcoming video series is planned around summer vacations. The system will analyze the brand’s existing video library, mapping performance data with a tremendous amount of content attributes such as objects, moods, and actions. The ability to instantly analyze the impacts around the length of a video, the narrator’s voice, and the author of the text and images to completely understand every aspect of a piece of content is intriguing. Going beyond basic insights to dissect a blog post or video and tweak it until you find the secret to success offers obvious appeal. In a nutshell, there is an inconvenient truth for businesses that their content could be impacting revenue performance. But, these new actionable insights will tell them exactly why their campaigns are underperforming and how to optimize them. On the flipside of the coin, could it also improve understanding of users frustrations too? The demo highlighted how commonalities across high-performing assets are identified and a recommendation is generated for variables including length, format, people, and more. But will it work in the real world? Unfortunately, this and all of the shiny “Sneaks” showcased to excited marketers are merely research projects at this moment in time. There is no formal commitment to product roadmap or release dates. However, Adobe has a good track record, and around 60% of projects in Sneaks make it into a product. Only time will tell if this project has legs, but the proof of concept highlights a new approach to content analysis. It’s not until you look back at our obsession with page views and bounce rates that you realize just how far we have progressed as a global digital community. Intelligent content insights will be seen by many as a natural progression as the consumption of digital content continues to evolve across a plethora of devices. Do we engage differently when we access the same content on a laptop, tablet, smartphone, or by asking Alexa? These are just a few challenges that marketers are trying to overcome. As voice search begins to strip away branding, companies such as Adobe seem determined to search for the secret sauce that will deliver the perfect slice of highly engaging content. Let’s hope it’s not a return to listicles and click-bait headlines; after all, nobody would want that, right?